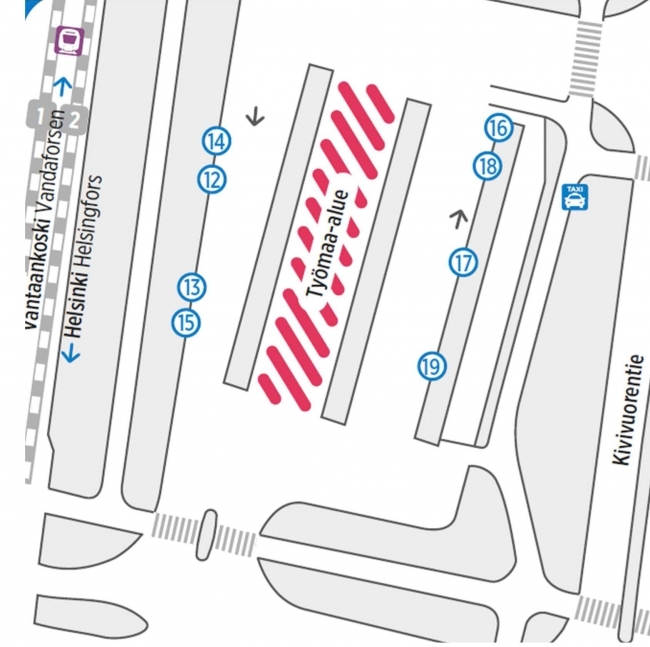 There will be changes to bus bays at Martinlaakso bus terminal from Thursday 1 September because some departure bays will be closed due to construction work. Current bays 12–15 will move to the railroad side of the terminal. Bays 16 and 17 will move to the Kivivuorentie side of the terminal. The change affects routes 311A, 335(B), 413, 415N, 421, 431N, 432, 433, 435, 436, 510, 565, 566, 571, 572, 574, 575.